Schultz Air Conditioning has been a proud Customer Care Dealer since 2015. From your first meeting to installation and follow-up, our independent American Standard Customer Care Dealers are here to make your decision comfortable and worry-free. This program is made up of hand picked dealers who are ready to listen, evaluate and find solutions that work smarter for you and your home. Rugged and durable, the Silver Series meets or exceeds all standard effciency requirments as part of your matched system. All-Aluminum Coil- Substanially more durable than conventional copper coils, which means longer system life, as well as, less chnace of refrigerant leaking into the atmosphere. Insulated Cabinet- Heavy steel constaruction and insulation protect against heating and cooling losses, and lower sound levels. Heating Options- can accommodate electric heat with no modifications to the cabinet. Non-bleed TXV- allows for better refrigerant control & efficiency. Unlike any other air handler on the market, the uniquely designed cabinet is insulated between double walls similar to a refrigerator, keeping insulation out of the air that your family breathes. The Platinum Series is our most innovative offering and most efficient. It features a variable speed motor and integrated humidity control through Comfort-R technology and a uniquely designed cabinet to help prevent energy loss and condensation. Unique Cabinet Design- double wall cabinet helps prevent energy loss and virtually eliminates condensation. Epoxy Coated Coil- standard epoxy coated offering is the first of its kind in the industry and helps prevent odor and undesirable residue on the coil. Vorica Blower- specially constructed for quiet operation, this blower also reduces your overall energy use and carbon footprint. Electronic Refrigerant Flow & Regulation- refrigerant flow is regulated with an electronic expansion valve for greater system life and max reliability. Source: © 2018 American Standard Heating & Air Conditioning. Air Handlers. Meeting or exceeding efficiency standards. SEER (Seasonal Energy Efficiency Ratio) is a measure of efficiency for air conditioners. SEER ratings are like miles per gallon in cars- the higher the rating, the more efficient the unit. All American Standard Heating & Cooling Air Conditioning Systems satisfy or exceed minimum government SEER standards. An unbeatable combination of value and reliability, Silver Series air conditioners feature Spine Fin coils and Duration single-stage compressors, providing powerful cooling with reliability you can expect from American Standard. Gold Series air conditioners feature proprietary Spine Fin coils and Duration two-stage compressors, and effciency that keeps you energy smart and comfortable in even the hottest weather. American Standard Platinum air conditioners offers the highest combination of performance, efficiency, and temperature control. 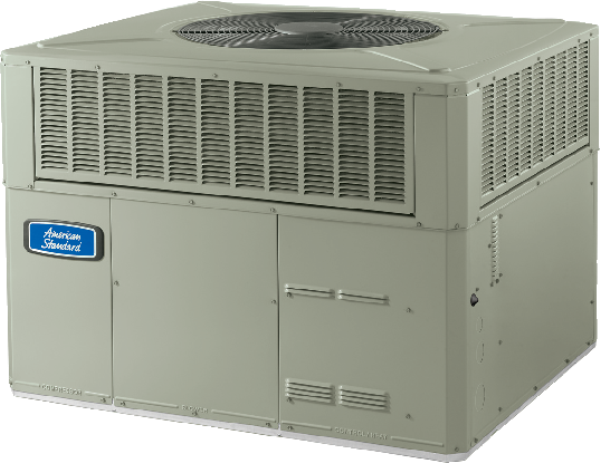 Built with American Standard commitment to quality throughout, the Platinum line offers advanced energy-saving features like Duration variable speed compressors and Spine Fin coils. Source: © 2018 American Standard Heating & Air Conditioning. Air Conditioners. Call us for additional details and pricing 239-574-6959. Heating and Cooling Systems that fit comfortably with your budget. Ameristar is a brand of Ingersoll Rand, a leading name in the heating and air conditioning industry for more than a century. In addition to giving you confidence in a product that is well made and tested to Ingersoll Rand’s quality expectations, Ameristar’s 10-year registered limited warranty protects your heating or cooling investment for years to come.